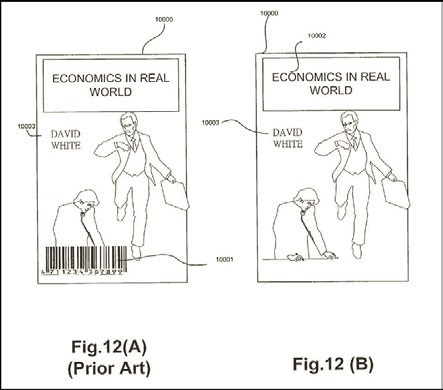 Inventors often use generalized language in patent claims when they are dealing with concepts that are not easy to quantify. This generalized language can create issues in litigation, when a defendant argues that the claims are so imprecise as to be indefinite. The Federal Circuit recently addressed such an issue in Sonic Technologies Co., Ltd. v. Publications International, Ltd. (Case No. 2016-1449). In that decision, the Court, in a unanimous opinion written by Judge Lourie, held that the trial court erred when it concluded that the term “visually negligible” rendered the claim indefinite. Defendants argued that the term “visually negligible” was too subjective and did not provide reasonable guidance on its meaning. Sonix argued that the term was sufficiently definite in light of the specification, which discussed how the “graphical indicator” did not interfere with an observer’s view of item, in contrast with a bar code, which obscures the content below it. The trial court agreed with defendants and found that the term “visually negligible” was indefinite and the claims were invalid. Sonic appealed to the Federal Circuit, which reversed, finding that the term was sufficiently definite. Under 35 U.S.C. § 112, ¶ 2, the claims of a patent must particularly point out and distinctly claim the subject matter of the invention. Supreme Court precedent requires that “a patent’s claims, viewed in light of the specification and prosecution history, inform those skilled in the art about the scope of the invention with reasonable certainty.” (citing Nautilus v. Biosig Instruments, Inc., 134 S.Ct. 2120 (2014)) Because, absolute precision is not required to meet this standard, courts frequently have allowed more generalized language, especially where the specification provides guidance in interpreting the language. The Federal Circuit looked at the prior cases and concluded that “visually negligible” was not so uncertain as to render the claims indefinite. It contrasted other cases that dealt with terms that were purely subjective, such as “aesthetically pleasing,” with this one. The specification indicated that an indicator was “visually negligible” when it could not readily be seen by the naked eye and provided examples of such indicators. This specificity was sufficient in the Federal Circuit eyes. Moreover, the Court looked to the extension prosecution history (with multiple reexaminations), which indicated that the Patent Office was able to determine the meaning and scope of the term without issue. Our holding in this case does not mean that the existence of examples in the written description will always render a claim definite, or that listing requirements always provide sufficient certainty. Neither does the fact that an expert has applied a contested claim term without difficulty render a claim immune from an indefiniteness challenge. As always, whether a claim is indefinite must be judged “in light of the specification and prosecution history” of the patent in which it appears. . . . We simply hold that “visually negligible” is not a purely subjective term and that, on this record, the written description and prosecution history provide sufficient support to inform with reasonable certainty those skilled in the art of the scope of the invention. The examiner’s knowing allowance of claims based on the term that is now questioned, plus the acceptance of the term by both parties’ experts, force us to the conclusion that the term “visually negligible” is not indefinite. Accordingly, we reverse the district court’s conclusion that the asserted claims are invalid as indefinite. This entry was posted in Patents and tagged Federal Circuit, indefiniteness, invalidity, Pittsburgh Patent Attorneys. Bookmark the permalink.